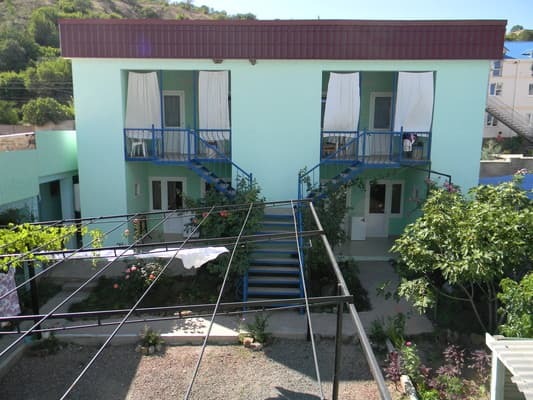 Guest house "U Gemma" is located in the village of Rybache, 500 meters from the sea. On the territory of the guest house there is a barbecue area. 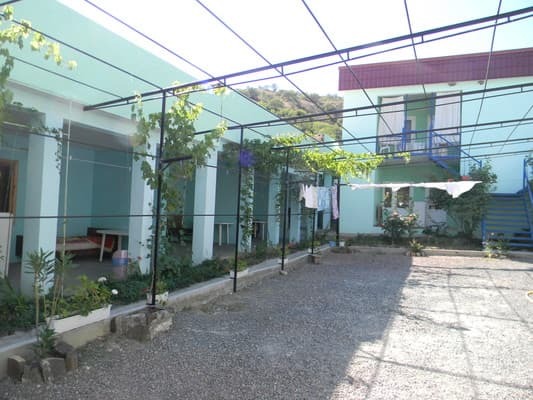 The hotel offers 16 rooms of Standard category, the rooms are equipped with everything necessary for comfortable living. Free Wi-Fi is available. On the territory of the guest house there is parking, where guests can park their cars. The hotel has a fully equipped kitchen for self-cooking. Near the guest house "At Gemma" there are cafes, bars, discos, shops and water entertainment. PRICES MAY CHANGE, YOU NEED TO RECEIVE INFORMATION FROM THE OPERATOR! 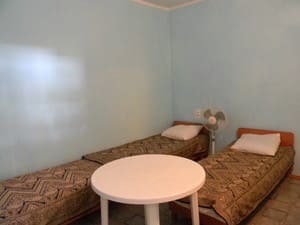 Description of the room: One room with one double or 2 twin beds. 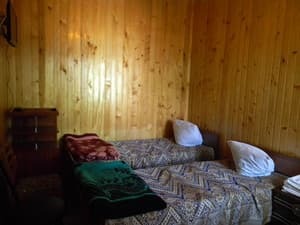 Description of the room: In the room there are three separate beds, a table. 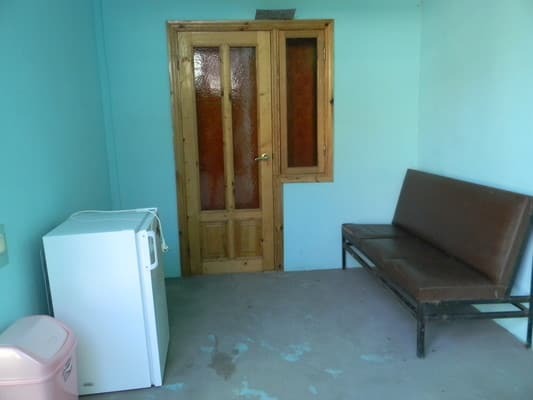 Description of the room: Cozy one-room. The room has 4 single beds, chairs, wardrobe. 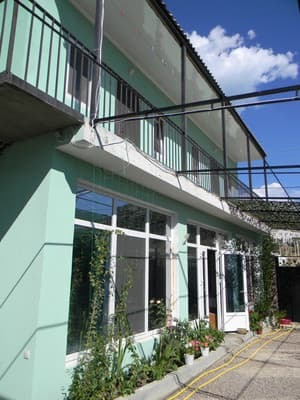 Guest house "U Gemma" is located in the village. Fishing at a distance of 500 meters from the sea is about 12 minutes walk. 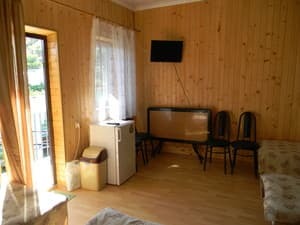 You can get to the guest house "U Gemma" by using the services of the fixed-route taxi "Simferopol-Rybachye". Dispatched from the station square of the railway station in Simferopol.